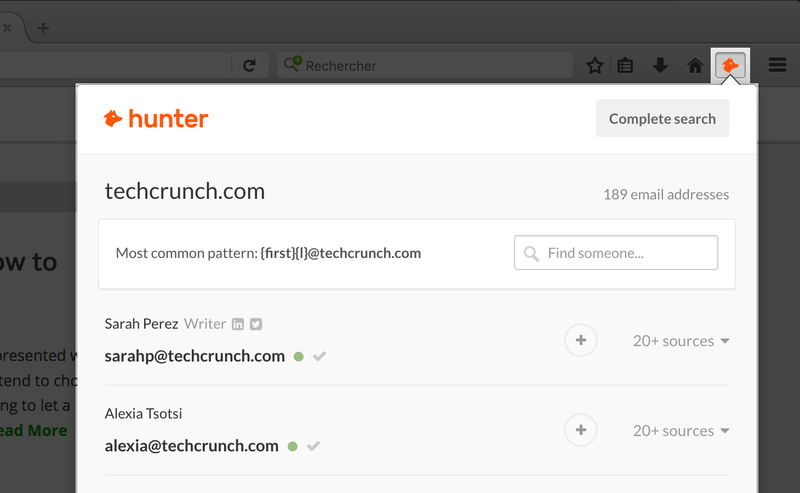 Hunter's Firefox add-on lets you find email addresses, names and social networks of the websites you're visiting in one click. Search for the Hunter’s add-on in the Add-ons for Firefox page. Confirm by clicking on Install. Once you've installed it, the add-on will allow you to find, with a simple click, email addresses, names and social networks while you are visiting a website. Go to the website you want to find the email address for. Click on the Hunter icon in Firefox. 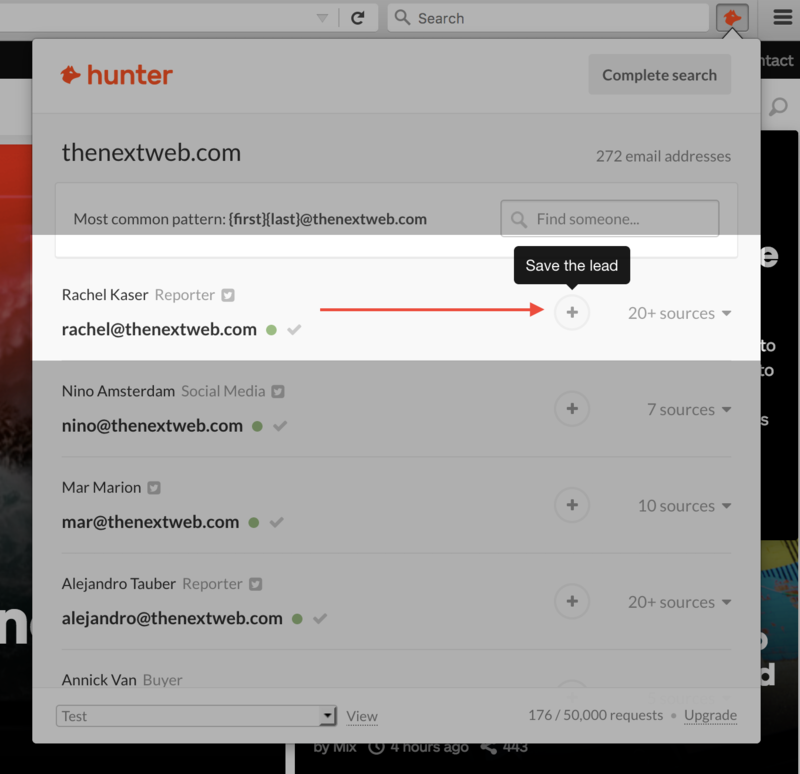 Hunter will return all the email addresses using the same domain (i.e. finishing with @company.com) that can be found on the web and the URLs where the email addresses were found. Please remember the extension won’t search email addresses on the page you're visiting but simply returns the email addresses we have indexed in our base using the same domain name. You can save the emails found as leads by simply clicking the “+” button next to each contact you would like to save in the Leads section.